From the Angel of Mons to the sealed cargo on the torpedoed liner Lusitania, from the secret evidence in the Nurse Edith Cavell trial to the haunted U-boat, the First World War was a hotbed of mysteries and myths. This book explores the best known in the light of latest evidence from declassified documents. The First World War had a massive impact on the peoples of the time. The wide scope of the fighting and enormous human tragedy marked the popular mind as no other war had. Part of the impact was made by the huge number of legends, myths and mysteries that circulated among the front line soldiers and among civilians or were reported in the media. In this book military historian Leonard James goes back to the original sources, unearths obscure government records kept secret for decades and seeks to get back to the truth of what went on. He disentangles the confusion between the very real Angel of?Mons and the fictional “Bowmen” story in the press. He reveals the evidence suppressed for so long about Edith Cavell, the nurse shot by the Germans. He finally solves the conundrum of who actually shot down the Red Baron. He seeks the truth behind the mysterious “sealed cargo” on board the British liner Lusitania when she was torpedoed with the loss of over 1,000 lives. He tracks down the story of the Phantom Piper of the Black Watch, seeks out the German eyewitness to the RFC “death flight” and tries to track down the elusive, but deadly Gurkha with the silver kukri. Be it the Ghost Plane of Calais, the Madonna of Albert, the Russian soldiers in London, the Lost Battalion, the fate of Captain Ball, the antics of the Mad Major or the mysterious airman known as “Ballooning Bertie” you will find it all in this fascinating, mystifying and at times amusing but carefully researched foray into the Myths and Mysteries of the First World War. Leonard James is the grand son or great nephew of three soildiers who fought in the trenches of the Western Front in France. His father served in RAF?Bomber Command in World War II and he has written a number of books about the Second World War. 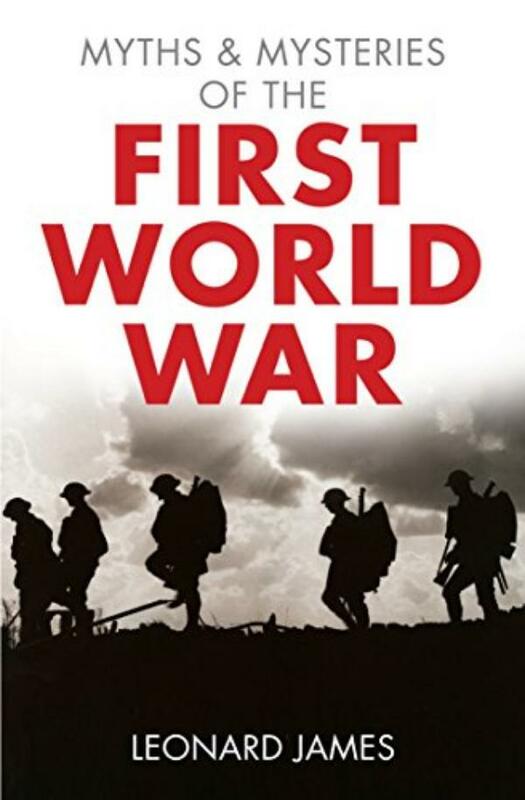 This is his first book about the First World War, but is far from being the last.